I will admit we are beginning to run out of new and original places we can get to on public transport when the sun shines. 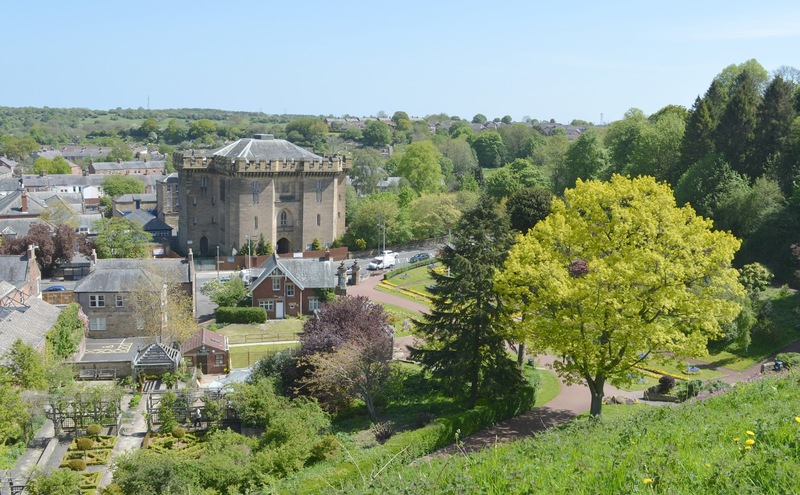 Our fail safes tend to be the coastal town of Tynemouth or a stroll round nearby Saltwell Park. So every time I spot some sun on the forecast I start anxiously examining Google maps and the train timetables to see if I can discover somewhere new we can adventure to. Going on an adventure can be a bit of a commitment - spending lots of money on a train ticket when you don't know if you'll be able to fill a day at your chosen destination is a gamble. Recently my research paid off when we headed on the train to Morpeth, a little market town in the heart of Northumberland. Morpeth is 20 minutes outside Newcastle and falls under Northern Rail's "Duo Ticket" rail scheme, meaning we got 25% off our tickets. Bargain! Our first destination of the day was Carlisle Park, a short walk from Morpeth station it is a great place to head if the weather is sunny. Not sure what to expect, we were surprised at how huge the park was. I'd been expecting a bit of grass and a few swings but instead we were greeted by a colourful display of flowers and endless paths promising adventure. As it was a hot day we decided to head to the woodland area first to cool down in the shade. The paths were quiet and we happily tiptoed between the trees keeping our eyes open for red squirrels that have been spotted in the area. 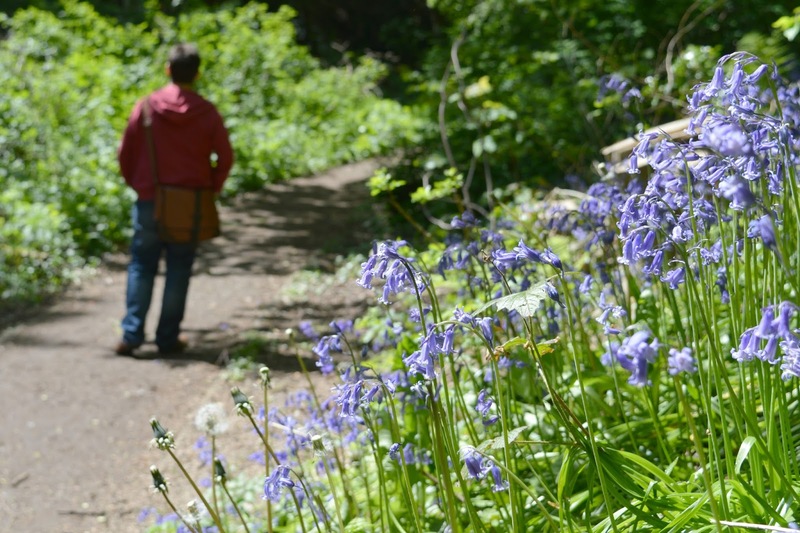 Unfortunately we didn't manage to spot any wildlife this time but we did stumble across the last of the Spring bluebells. Next we went for a climb up Ha' Hill, an 11th century motte and bailey promising fantastic views across Morpeth. As we climbed the steps to the top we were joined by a few bouncing bunnies who were happily skipping just ahead of us. The views were lovely, an aerial view of the Park and the Morpeth countryside beyond it, we were lucky to have a very clear day so could see for miles. We were more than ready for a cool down after our enthusiastic climb so decided to spend the rest of our time in the Park ambling around at a snail's pace. We plodded along the river watching people in rowing boats, feeling a bit too lazy to hire one for ourselves. We were very excited to spot a Heron sitting by the river, and a lovely local told us that he's a pretty frequent visitor to Carlisle Park. One of the best things about living in the North is that everyone is so friendly, I love how easy it is to start an enjoyable conversation with a stranger in a park. 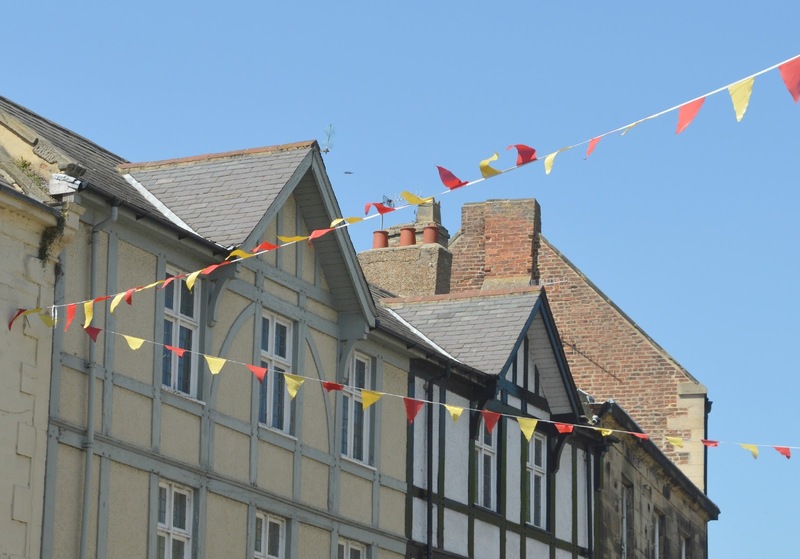 Morpeth is a pretty Market Town complete with picture perfect buildings that are home to a number of independent businesses and colourful bunting. 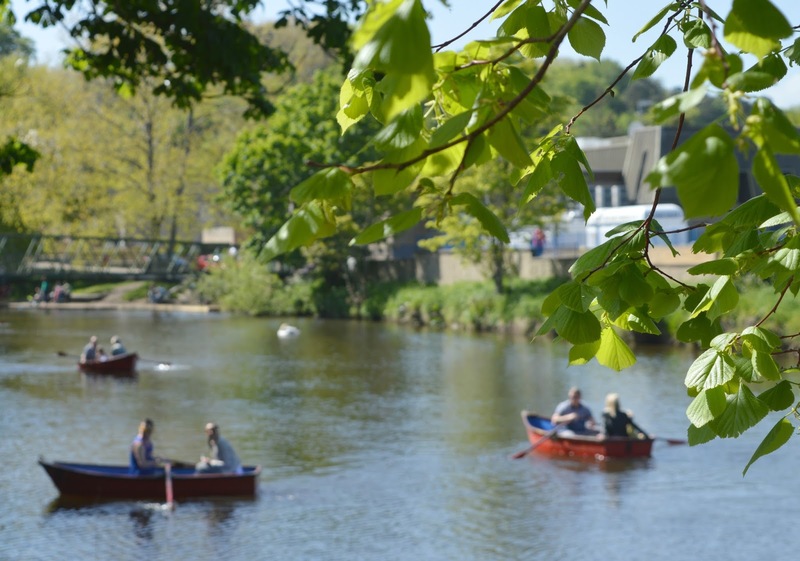 It's a great place for a weekend amble - perfect for people watching and admiring fluffy pooches. 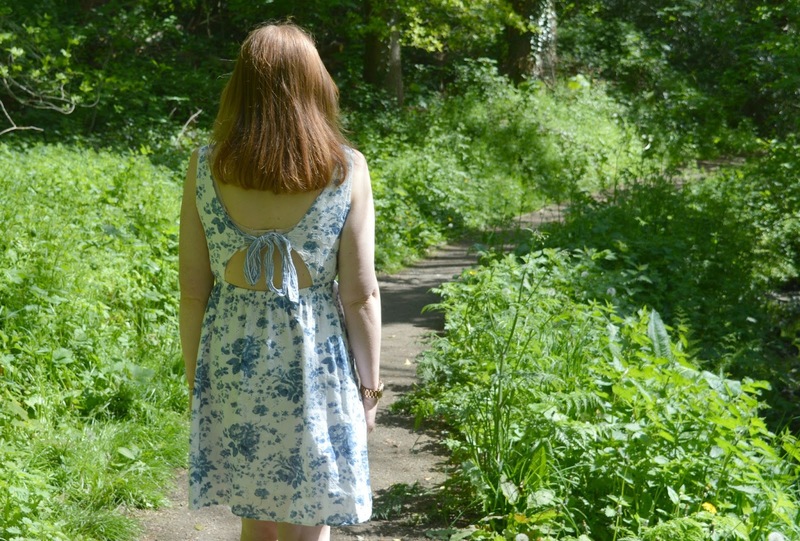 As we happily strolled around in the sunshine it wasn't long before I realised that I'd gone a good many hours without having any cake, which is just wrong on a Saturday. 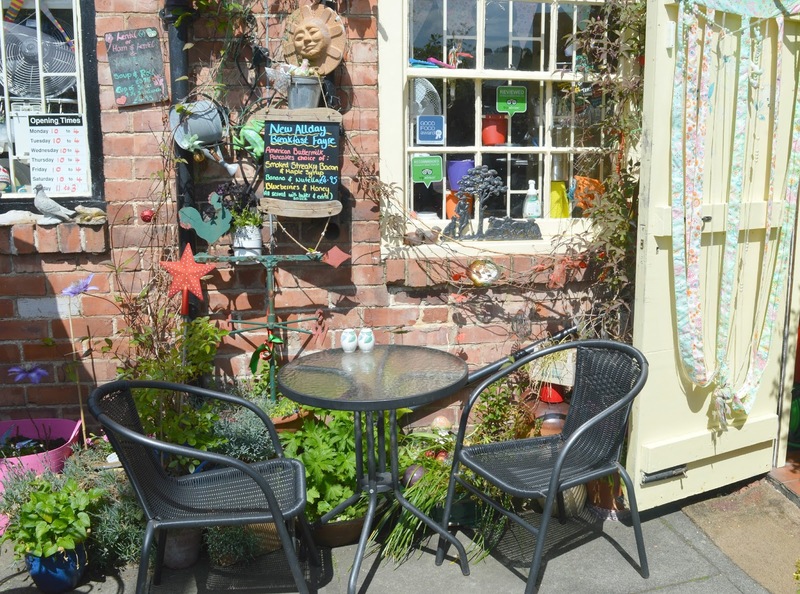 Morpeth may be small but it has a great amount of tea rooms, so many that it's pretty hard to decide where to go. A lot of my "cake list" is actually made up of places in Morpeth so I was very happy to finally be there and able to tick one of them off. 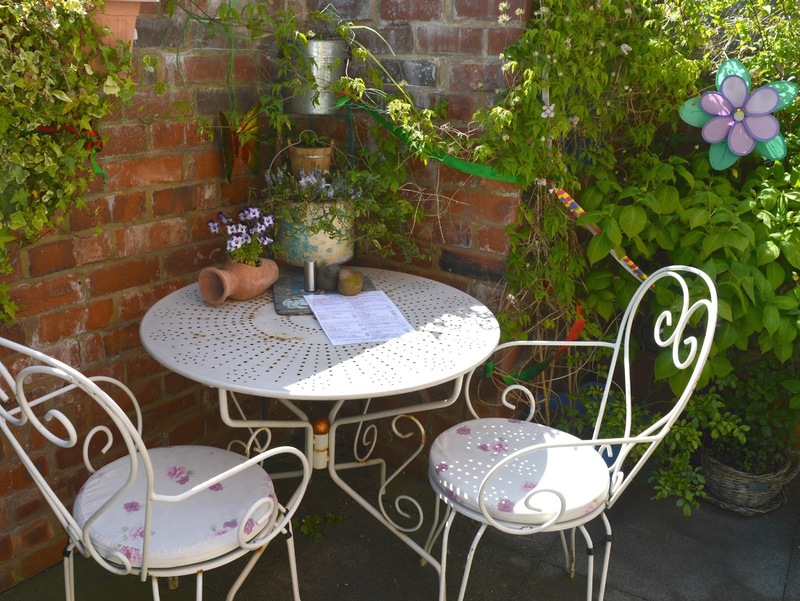 With the weather being so beautiful the winner of the day was Micah's Tea Room as it had a courtyard and I rather fancied the idea of eating cake in the sunshine. As we made our way through the tea room I was struck by the amount of knickknacks filling the small space. Every surface was covered in little trinkets and it reminded me a little of going to an eccentric Aunt's house for tea. The courtyard was similar, busy with colour and plenty to look at. We grabbed ourselves a table in the corner and were amused to see that we would be sharing our space with a frog ornament. There was plenty of cake to choose from and I had definitely earned myself a slice after surviving the battle back through Aladdin's Cave to look at the cake counter! I went for a Chloe classic - a nice big wedge of Red Velvet. 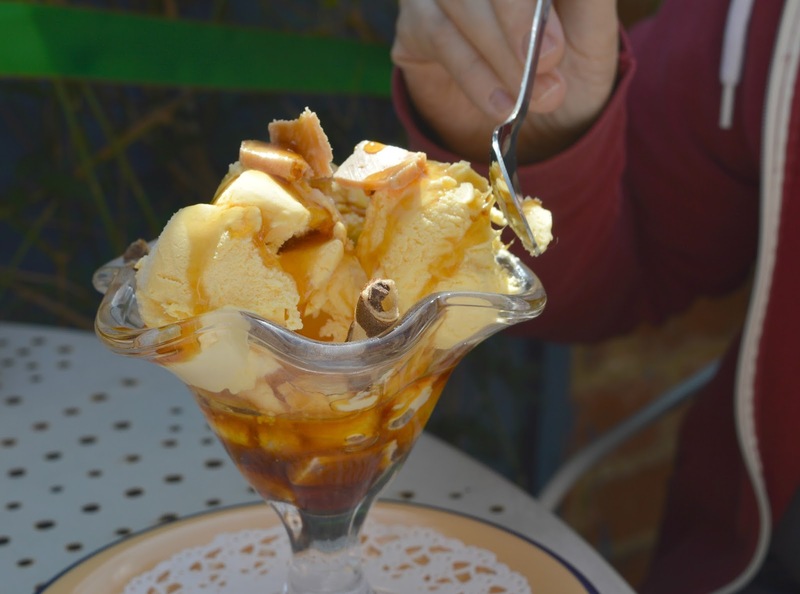 As we all know, given a choice, Simon will always favour ice-cream over cake and ordered himself a honeycomb sundae, a definite wise decision given the soaring temperatures in the courtyard. 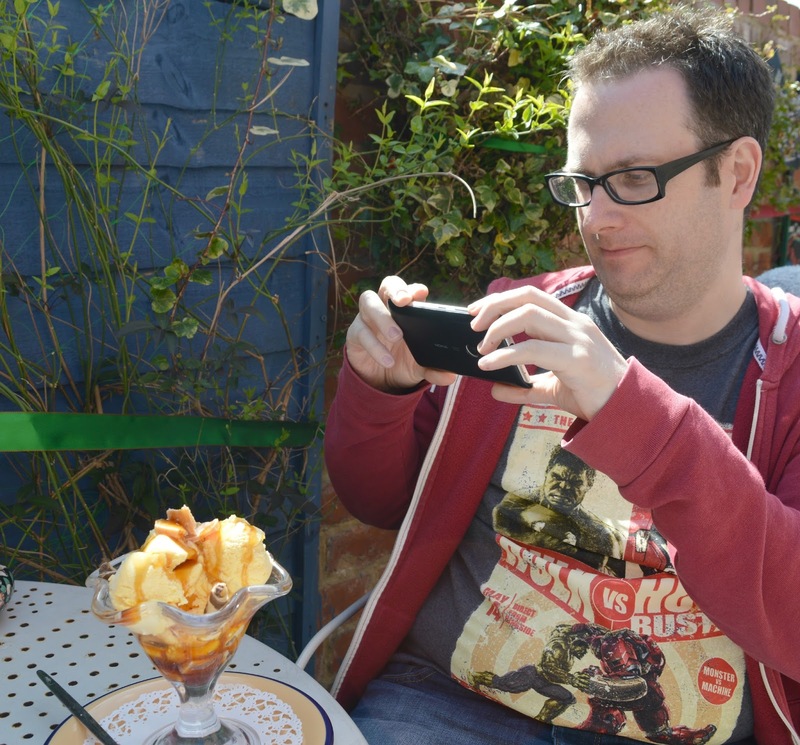 First job before eating is always taking a silly amount of photographs on your phone .. anyone think that Simon has been hanging out with a blogger a bit too long? 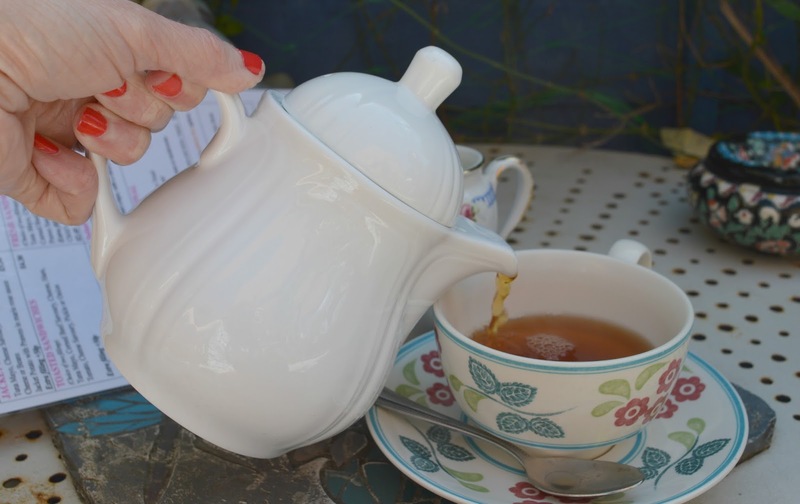 I don't care how hot it is, I always want tea with my cake and they do say that hot drinks cool you down in scorching temperatures, so I was quick to order myself a nice big pot of tea. 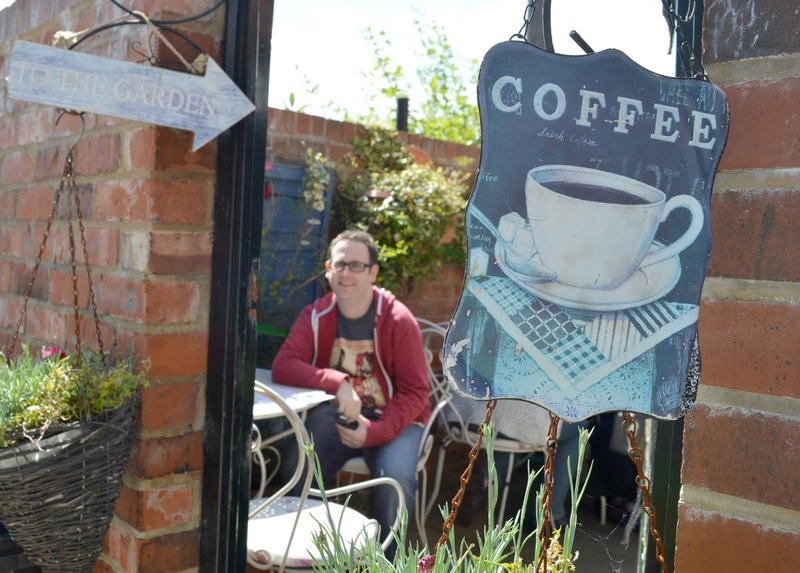 We spent our last hour in Morpeth chilling out in our own little secret garden eating the best kind of weekend treats. 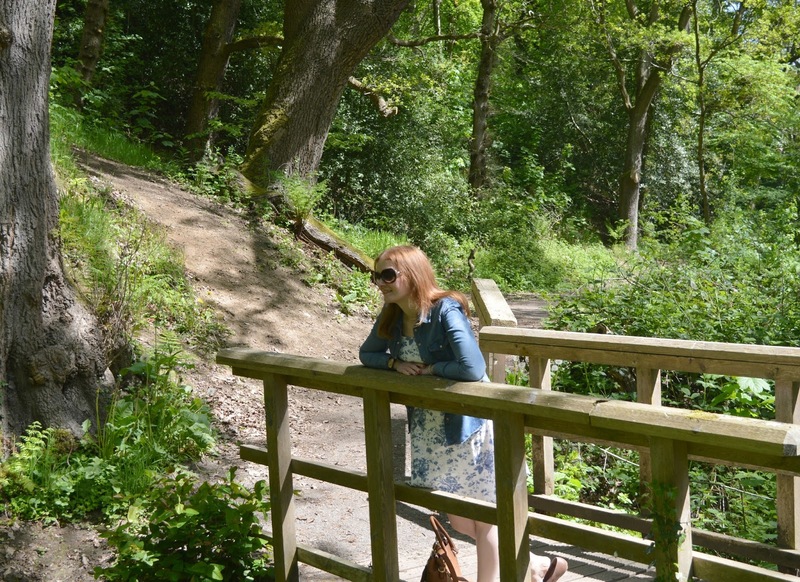 We loved exploring Morpeth and plan to return soon to tick some more tea rooms off our list. Where should we head on our next sunny adventure? Great stuff and wonderful photos! 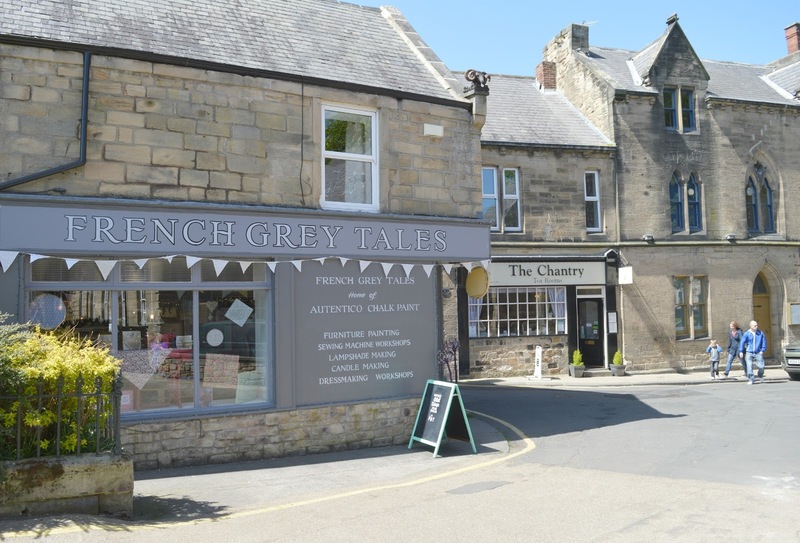 I hope you come back to Morpeth and explore more of the delightfully quirky shops, especially those on Oldgate and Newgate Street. And of course eat more cake! Definitely - the weather was too warm that day to potter around the shops, but we'll definitely have a proper look next time, and eat more cake of course! It's a great feeling to walk in a flower garden in the park. 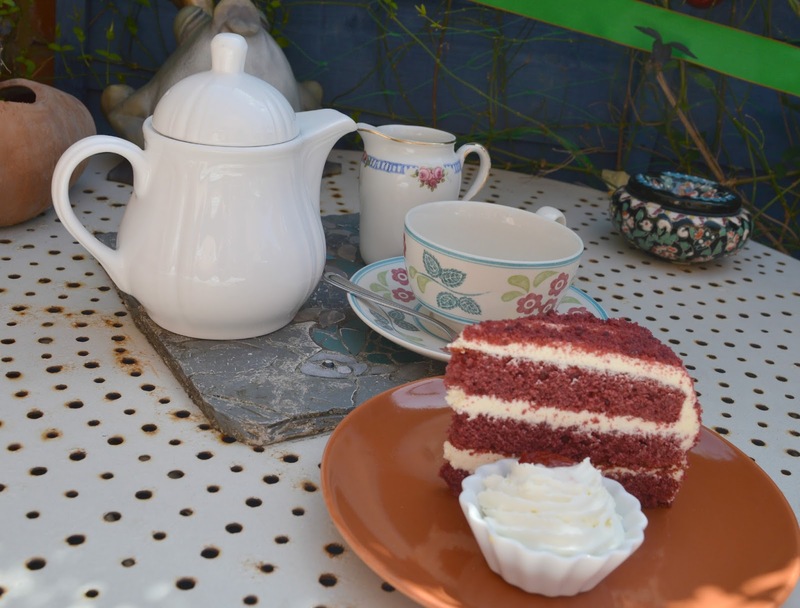 The Micah's Tea Room with delicious cakes and tea is awesome. Absolutely stunning! A gorgeous garden always reminds me of my Grandad as he loved gardening so I felt very at home in Carlisle Park! 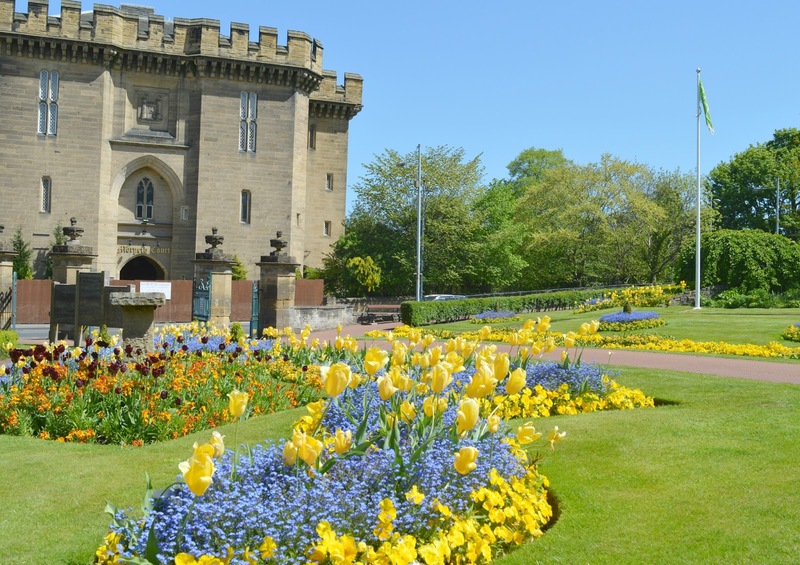 Carlisle Park is one of our favourites! 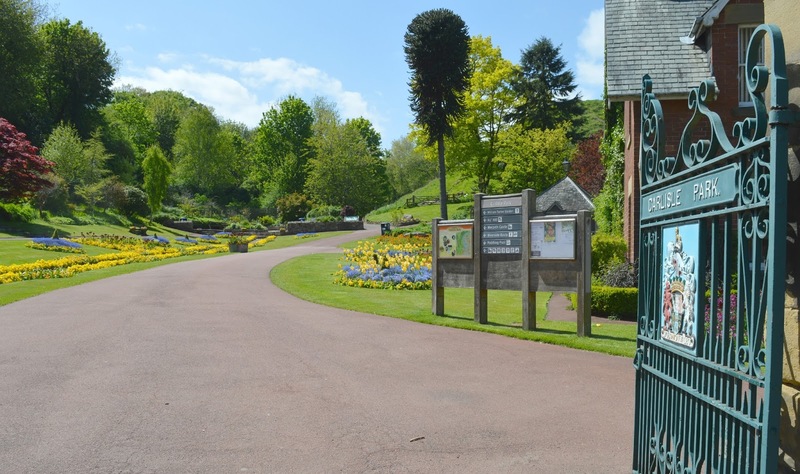 In the Summer we have a tradition of taking some bread to feed the ducks, play in the two parks and paddling pool (although Jack prefers the sand pit) followed by picking up a gorgeous Chinese lunch from the famous Chinese Van in the car park! 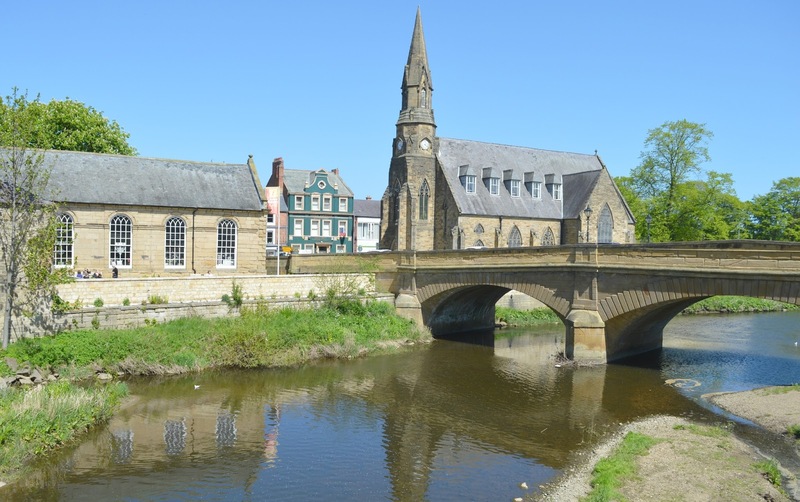 There are so many places to stop for lunch or cake in Morpeth. I like the Corbridge Larder too. Morpeth is also where I visit when I need to fuel my paperchase obsession! Ha! I've done that plenty of times! This park looks amazing! If I ever venture up north one day, I'd love to be able to visit it. :) n Cornwall as well, it's really easy to start a conversation too. Everyone is always happy to speak to each other. I love your photos by the way. They're so lovely and the colours are gorgeous! amazing pictures chloe! it looks lovely there, I've never been before. I was in Morpeth last weekend but I have to confess I can't remember the last time I walked through the town in daylight! My best friend lives nearby so we tend to go out for drinks. I didn't even know you could hire rowing boats on the river! I'll have to make sure we head into town during the day next time so we can have a go on the boats and get some cake!